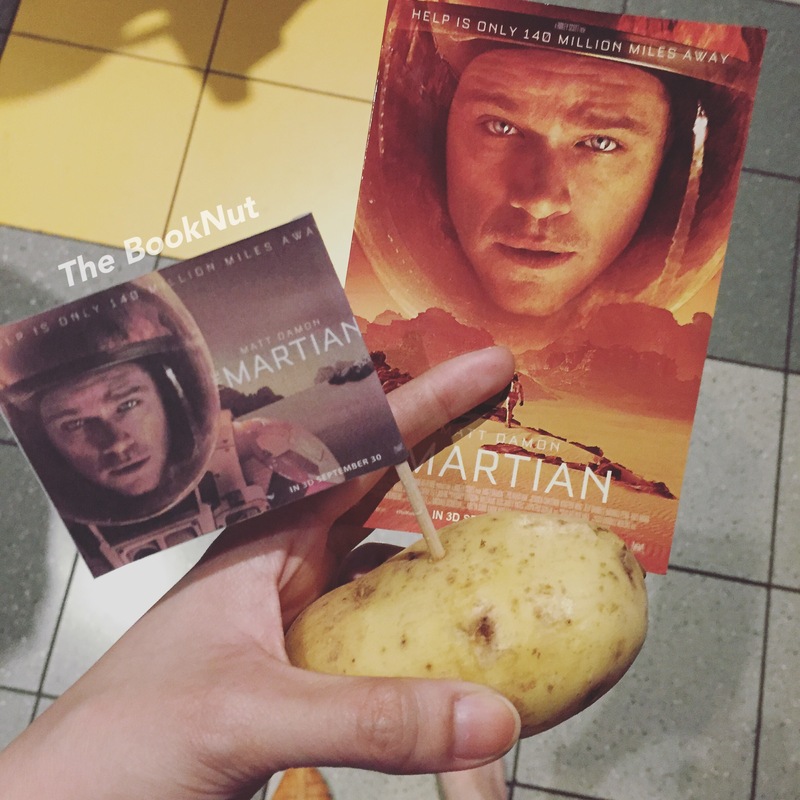 The Martian: Of Matt Damon, disco music and yes plenty of potatoes. One of the awesome perks of my 9-5 job is to be able to attend press / advance screenings of international movies. So yesterday I was lucky enough to watch The Martian at least 2 days before its release here in the Philippines. Don’t worry this isn’t a lengthy movie review or an analysis of all the marvelous technical aspects of the film. Just an honest initial reaction to the book to movie adaptation of one of my favorite books of this year. Okay, I really had high expectations for this film especially since I love Andy Weir’s book, which of course will make it difficult for me to give my unbiased opinion. And hello, Ridley Scott! That being said, I throughly enjoyed watching the movie. I absolutely like the fact that even if you haven’t read the book when you go see it, you’d still love this movie. Matt Damon’s performance was impeccable. He is the perfect fit as Watney. I love the casting for the Ares 3 crew and the staff at NASA and JPL. Of course as any movie adaptation you’ll always feel there are missing parts. There were vital bits in the book which I wish made it into the movie (not gonna spoil so don’t worry) but I get it that not everything could be included. Watch it when it opens on Sept. 30 (Philippines).